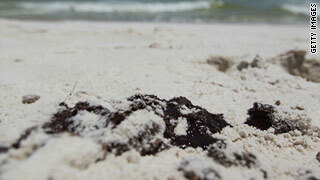 Tonight on 360°, the latest developments on efforts to determine how much oil is leaking into the Gulf. 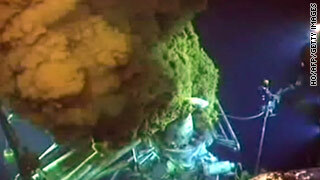 Plus, survivors of the doomed BP oil rig tell their stories. (CNN) - Hosts South Africa opened the 2010 World Cup with a 1-1 draw with Mexico on Friday as the world's greatest sporting spectacle arrived on the African continent for the first time. An estimated global audience of hundreds of millions watched as the home side's Siphiwe Tshabalala crashed home the first goal of the tournament early in the second half to send Johannesburg's Soccer City stadium into ecstatic celebrations. Mexico's Rafael Marquez leveled the scores with 11 minutes left, beating goalkeeper Itumeleng Khune from close range. But South Africa's Katlego Mphela missed a golden opportunity to win the match in the final moments as his shot bounced back off the post. Even after more than 50 days of one disturbing detail of lax oversight after another, this new information still stuns. BP's own auditors and others have found the oil giant's been ignoring its own safety policies for years… this according to an investigation by the non-profit journalism group – ProPublica – and the Washington Post. The report alleges instances of BP intimidating employees who reported problems… and delaying safety checks to reduce costs. 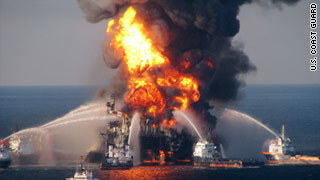 ProPublica, says it obtained a series of internal investigations from a person close to BP who believes the company has not yet done enough to eradicate its shortcomings – investigations that over the past decade warned senior BP managers that the company, according to the post, risked a serious accident if it did not change its ways. The numbers on every front of the Gulf of Mexico oil disaster keep their steady march upward to staggering proportions, and Friday was no exception. As the oil spewed, so did more grim statistics. Researchers have doubled estimates of how much oil has been gushing from a ruptured BP well, reporting that up to 40,000 barrels, or 1.7 million gallons, a day may have escaped for weeks. 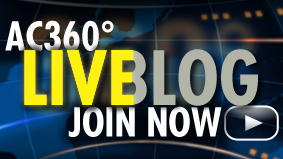 If the latest estimate is correct, that would mean 90.1 million gallons have spewed in the 53 days since the rig exploded. That's more than eight times the amount spilled by the supertanker Exxon Valdez in Alaska's Prince William Sound in 1989. In order to see how Muslims were fitting into America—and what it meant to fit in—we would need to talk to Americans from all backgrounds and religions. Editor's Note: Frankie Martin is Ibn Khaldun Chair Research Fellow at American University's School of International Service and is a contributor to the new book Journey into America: The Challenge of Islam. As I got off the plane in St. Louis in September 2008, I didn’t realize I was beginning a journey that would change my life. On that day, I–along with several researchers working with Professor Akbar Ahmed, American University’s Chair of Islamic Studies–began a grueling project aimed at studying America’s Muslim population and its relationship to American identity. Now, nearly two years, 75 cities and 100 mosques later, Journey into America: The Challenge of Islam, will be published by the Brookings Institution Press this month. In addition to providing unprecedented insight into America’s Muslim community, it also led me to look at my own country, the United States, in a different way. I had taken Professor Ahmed’s class on improving relations between Islam and the West as an underclassman shortly after the US invaded Iraq in 2003 and had traveled across the Muslim world with him for the book Journey into Islam: The Crisis of Globalization, listening to Muslim voices in countries including Jordan, Pakistan, and India. BP, the company responsible for the worst oil spill in U.S. history, is the largest operator of deepwater drilling systems in the Gulf of Mexico. BP currently has eight floating production systems capable of pumping oil from wells located more than 1,000 feet below the surface of the Gulf, according to a study from Douglas Westwood, an international research firm focused on the oil and gas industry. In addition to two rigs in less than 1000 feet of water, BP operates the largest production platform ever brought into operation in the Gulf. 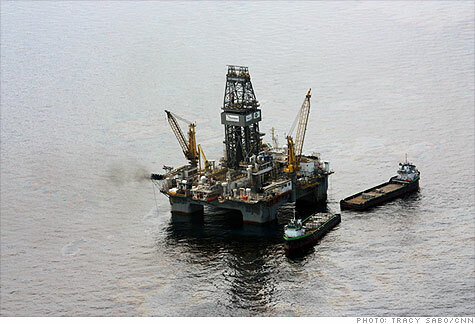 The Thunder Horse semi-submersible drilling rig is capable of extracting 250,000 barrels of oil per day from a well more than 1,800 feet below the surface. Editor's note: Tony Payan is an associate professor of political science at the University of Texas at El Paso. He teaches border studies, Mexican politics and U.S.-Mexico relations on the U.S.-Mexico border. He is the author of "Cops, Soldiers and Diplomats: Explaining Agency Behavior in the War on Drugs" and The Three U.S.-Mexico Border Wars: Drugs, Immigration and Homeland Security. His current research focuses on the violence in Ciudad Juárez. El Paso, Texas (CNN) - On Monday, a U.S. Border Patrol officer shot and killed a 14-year-old boy, Sergio Adrian Hernandez Guereca, under one of the international bridges that connects or, these days, divides, El Paso, Texas, from Ciudad Juárez, Chihuahua. The boy lay dead on the Mexican side and the Border Patrol agent was removed from the scene by U.S. officials. American officials say it was a case of self-defense. Mexican authorities condemned the killing as the use of excessive force. The facts are still coming out, but based on the English and the Spanish news reports, it is easy to see that the two sides do not agree on the particulars, much less on their interpretation. Can Senate get climate change bill done? Republican Sens. 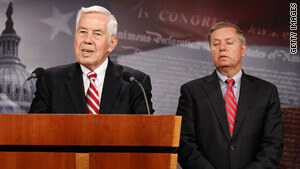 Richard Lugar, left, and Lindsey Graham, discuss Lugar's new energy and climate plan. A key Republican senator, instrumental in climate change negotiations in the Senate, has indicated that getting a bill passed this year with bipartisan support is a priority. But with a sharply divided Senate and other issues such as financial reform and jobs likely to take up the rest of this year's agenda, getting the legislation through the chamber could prove difficult. Sen. Lindsey Graham, though, is holding out hope. "What I don't want to do is leave the Congress this year having done nothing," the South Carolina Republican said. "This has a chance I think to get 60 votes, better than any proposal I have seen." Homicide chief: van der Sloot says he'll 'explain everything to Aruban police'. Lima, Peru (CNN) - Joran van der Sloot was charged with murder Friday in the slaying of a 21-year-old student in Lima, Peru, according to court documents. Earlier, he told investigators during an interrogation that he knows the location of Natalee Holloway's body, but he would neither identify the location nor say what happened to her the night of her disappearance, a Peruvian police official told CNN. Van der Sloot, a 22-year-old Dutch citizen, is suspected of killing Stephany Flores Ramirez in Lima last month. Flores was found beaten to death in a hotel room registered in van der Sloot's name. 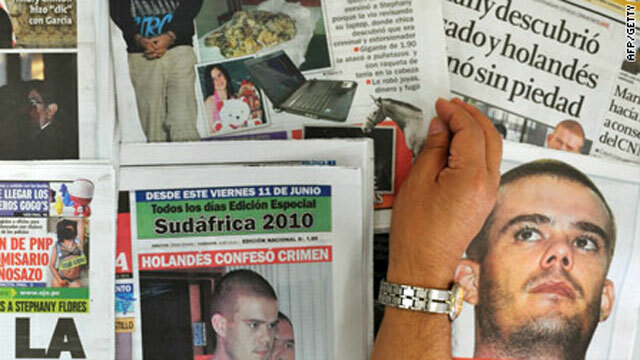 Van der Sloot was captured in Chile and returned last week to Peru, where authorities say he confessed to killing Flores. That has been the subtext of the federal government’s instructions to the panicking populace time and again. And I have found many folks willing to accept it. Let the locusts, wildfires, or tumbleweeds come; they will rally around their neighbors, roll out the tractors, and stand their ground. Granted some problems are just too big for a small community to take on alone, like the return of Kate Plus Eight, for example. But there’s no harm in trying while the Big Boys from DC are still saddling up, is there?